Based in China, we are an eminent Manufacturer, Exporter and Supplier of Saddle Stapler (ST-100) from China. Our Saddle Stapler (ST-100) is popular around the world for its compact design, excellent durability and efficient electrical performance. We ensure customer satisfaction by conducting multiple tests on the stapler before approving for delivery. 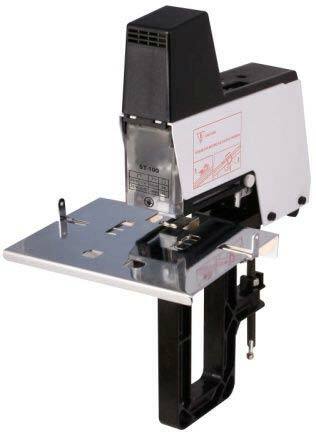 Buyers across the globe can obtain Saddle Stapler (ST-100) from us at most nominal rates. Flat stapling 40 sheets 80g paper max. Saddle stapling 30 sheets 80g paper max.